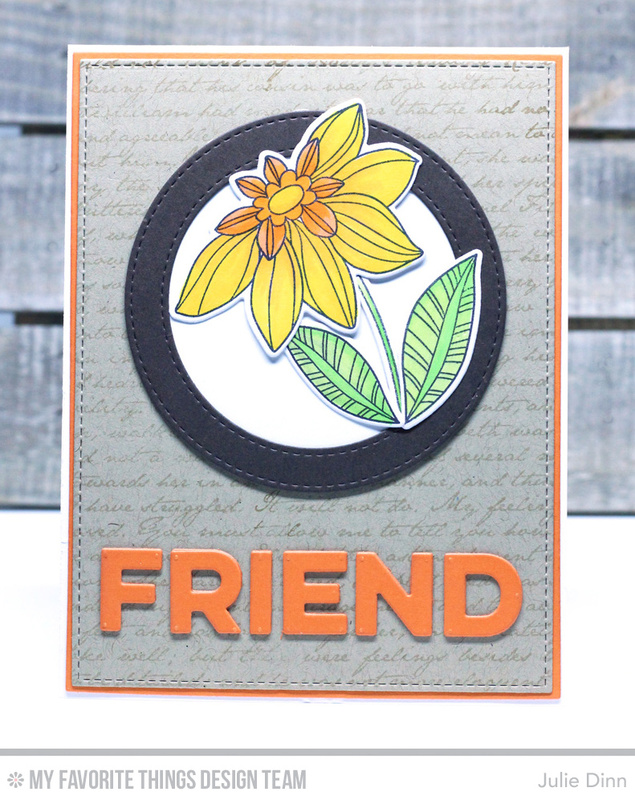 Are you loving the new Fancy Flowers Card Kit so far? These flowers are simply gorgeous! Don't forget that the Fancy Flowers Card Kit is available now. I have two cards to share with you today. 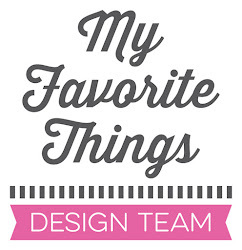 For the first one I paired one of the gorgeous flowers from the kit with the Wavy Coloring Book Background, the Twice the Thanks Die-namics, and the Kind Thanks stamp set. For my second card I went for a completely different look, using some colors not included in the kit. I stamped the image on X-Press It card stock and I coloured it with Copics. I used the Stitched Circle Frame Die-namics to create a frame for the flower. The background was stamped with the Romantic Script Background in Kraft Premium Dye Ink. The sentiment was created with the new Friend Die-namics. This is the new Free with $60 Die-namics! Julie--I am awed by both of these cards! Truly spectacular! Colors are amazing. Your water coloring was just great!! The floral sets are always my favorite to buy and use! !